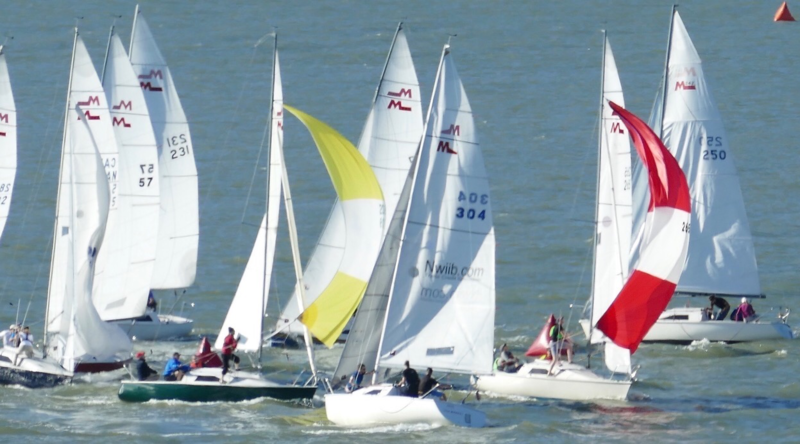 Congratulations to Joseph Pratile, a dinghy racer from Ontario who is keen to get racing the Martin 242 Electra. Electra was campaigned by Tim Murphy and Chuck Lawson who will now campaign the ex-Crown Royale. 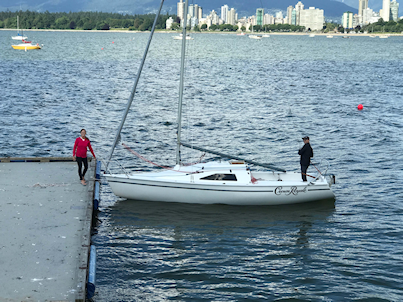 Joseph will keep the boat at Kits Yacht Club. Enjoy your first 242, Joseph! We want to bring together skippers looking for crew and crew looking for a boat to race on this season. Bring a pen and paper and/or your personal coordinate keeper to keep track of potential crew or potential boats. You'll be welcomed by Fleet One's Fleet Captain, Fabian Hope and there will brief introductions to current M242 skippers looking to complete or expand their crew list. This is a casual get together: you do not need to "dress to impress". Some beer may be involved (non-members can pay by credit card or by cash at the main floor front desk). Lifting Straps to be checked. For those boats on the hard at Jericho or who will want to haul their boat this season, please note that the lifting straps will be inspected. New lifting straps will be available for sale and will be mandatory if existing straps are not in proper condition. Mark Montrose has new straps for M242s. They come in pairs and cost about $55.00. Non-Royal Van members who may want to haul out at Royal Van (for boat weighing for example), can only purchase straps through an existing Royal Van member (i.e. ask a member to order straps and reimburse him/her). Congratulations to Tim Murphy, a top 242 racer from Vancouver, who purchased Crown Royale (#281, with sail number 272) from Dave Bogart on January 30. Tim also purchased Dave's new North sail inventory and boat cushions, so it was a clean sweep. Tim's older but very fast 242, Electra (#37) is now for sale for a reduced price of $5,000 until March 1. Enjoy your newer 242, Tim, and sorry to see you leave the Fleet, Dave!